Right now, there are many people who have decided that they want to train their own service dog. Some of these people have a disability that warrants them having a service dog, others just want to take their pet with them in places that pets are not allowed. Although there are some people who can train their own service dog, for most people it is too much work. For people with the disability, the training required can be difficult or impossible. In addition, many new “train your own service dog” groups are sprouting up claiming that if you get a puppy from them and you train with them, you will end up with a service dog. Sadly, many of these groups just end up disappointing the people who are desperately looking for a service dog. Dogs that are born and raised at a service dog facility (like Guide Dogs for the Blind) starts their journey, being thoroughly socialized as a puppy, typically going everywhere with their trainer. As they get older (usually 6 months to 1 year roughly), they begin intense training. In many situations, these dogs continue to go everywhere with their trainer and are being actively trained much of the time. Not only are these dogs learning how to behave in various environments, they are learning how to pick things up, how to indicate to a person that someone is at the door (they even can differentiate between a doorbell and phone ringing) and many other skills that will eventually help a person needing help. For the average person, this amount of intense training can be daunting and overwhelming. A typical dog parent has a hard time practicing new behaviors for 10 minutes a day for their pet dog! A service dog requires many more hours of consistent training than a pet dog does, so it can be nearly impossible for the average dog parent. There is more to being a service dog than just training, they also must have the right personality. A service dog must be calm and comfortable in any environment, they must not be anxious or fearful and they must not get distracted easy. Although training can help with many of these, genetics also plays a key role. Even puppies that are born at service dog organization with “handpicked” parents, fail at becoming actual service dogs (on average only about 50% of dogs bred specifically to be a service dog actually become one. I like to compare service dogs to Olympic athletes. To become one, you must have the right genetics, get the right coaching and practice a lot! Like Olympic athletes, service dogs often “miss out” on many dog activities. Many Olympic athletes explain how they do not socialize, they don’t have a lot of friends outside of their sport and they are always training (many have to be homeschooled because they don’t have time for school and training). 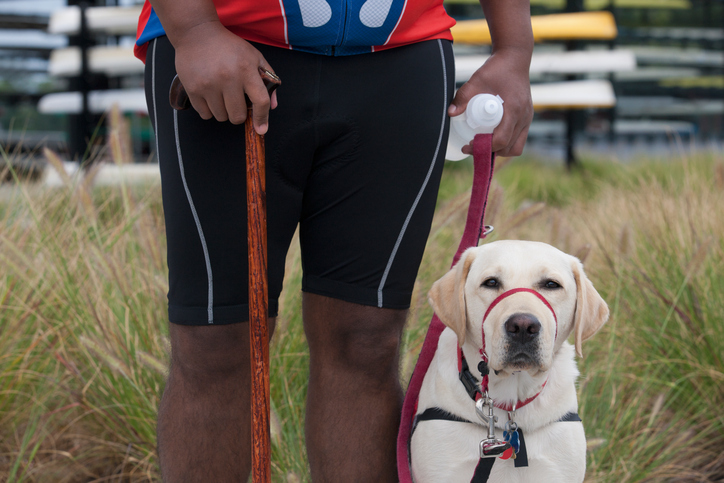 It takes a special person to become an Olympic athlete, just like it takes a special dog to become a service dog. To get a dog from a service dog organization, like Guide Dogs for the Blind, often requires that the participant join a long wait list. Although this can be discouraging to a person who would benefit from a service dog, there is a good reason for this wait. To train a service dog properly, it takes a lot of time and money, therefore this limits how many dogs can be trained at one time. For most of these organizations, the trained service dog is given to the person in need at no charge. This means that sponsorship and fundraising is also required for these organizations. In short, to have a well-trained service dog requires a lot of time and money (not to mention proper genetics and training) and most of the time any shortcuts just lead to disappointments. Shannon has been a pet lover all her life and a dog trainer for over 20 years. She has spent her life observing, caring for and training animals of all kinds. She has worked in the Bird Department at Marine World Africa USA, and worked as a handler and trainer for an African Serval Cat at Safari West, a private zoo in Santa Rosa, California. She has participated in behavior studies including observations of bald eagles and addax antelope through the San Francisco Zoo and Safari West. Her education includes a Biology Degree, specializing in Zoology from Sonoma State. She is a "Registered Veterinary Technician," a "Certified Professional Dog Trainer" (Knowledge Assessed), a Karen Pryor Academy Certified Training Partner, a member of the "Association of Pet Dog Trainers" and a member of the International Association of Animal Behavior Consultants. Shannon is currently serving as President for the Society of Veterinary Behavior Technicians. Shannon's dog training philosophy revolves around force-free, positive reinforcement, however, her ultimate goal is for healthy happy relationship between pets and their people. Diet, exercise, environment and training all play a significant role in achieving this goal. 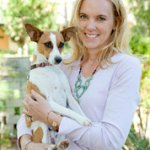 Shannon is currently the owner of Ventura Pet Wellness and Dog Training Center in Ventura, CA where she works with anxious and fearful dogs privately as well as teaching agility classes (Venturapetwellness.com). Shannon has also started a training website called Truly Force Free Animal Training.